Editor’s Note: This is a guest post by Shanna Schultz. 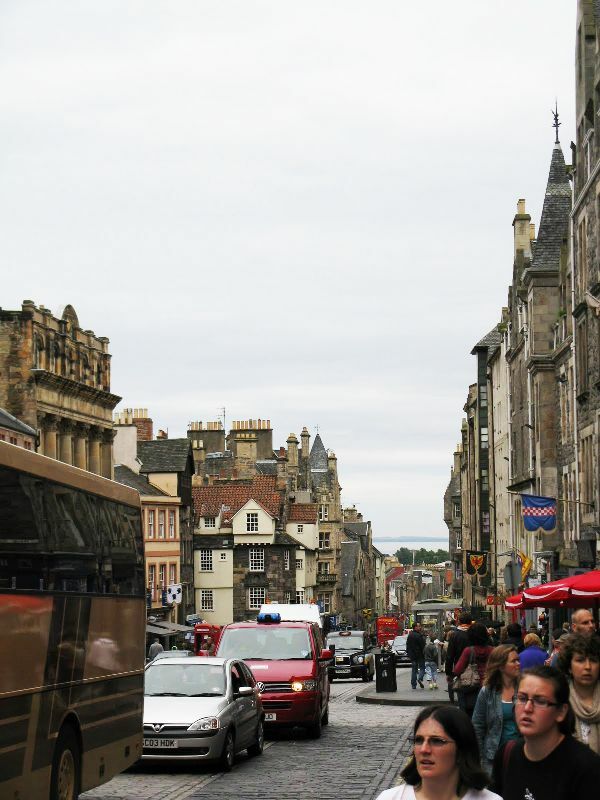 I could spend hours wandering the Royal Mile in Edinburgh, Scotland. The Royal Mile is the street that runs from the foot of Edinburgh Castle to Holyrood Palace at the other end (the Palace is the residence of the Queen when she is in Scotland.) 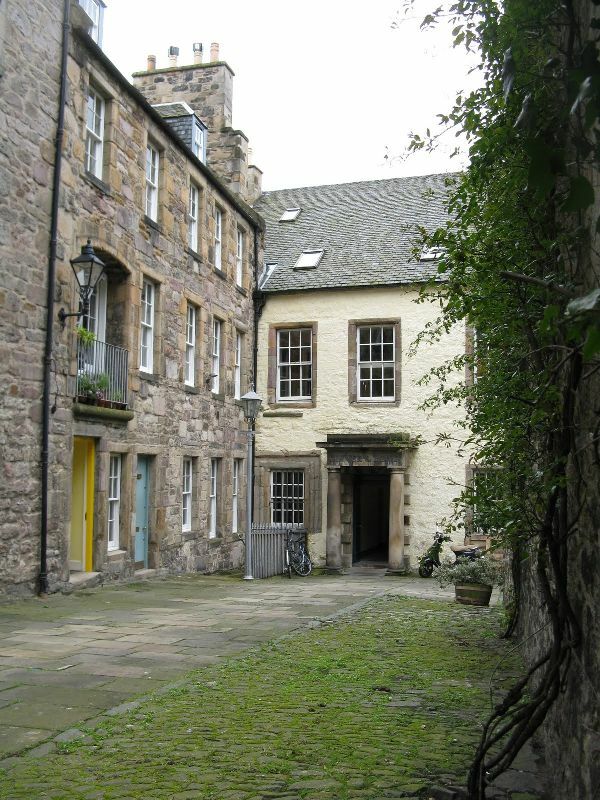 It is divided up into four sections: Castlehill, Lawnmarket, High Street and Cannon Gate. Even with all of the souvenir shops and the hordes of tourists, the Royal Mile never fails to transport me back in time with its cobblestone streets and stone buildings. It is a city that has been very careful to preserve its historical character. You will know what I mean after you have a chance to wander its length. You are surrounded by history as you meander slowly from Edinburgh Castle to Holyrood Palace, about a mile in total. How can you not love a street that is crowned with such a beautiful jewel as Edinburgh castle? Any proper visit to the Royal Mile should start with a visit to Edinburgh Castle. Edinburgh Castle dominates the Edinburgh skyline, and it is one of our very favorite castles in Europe! 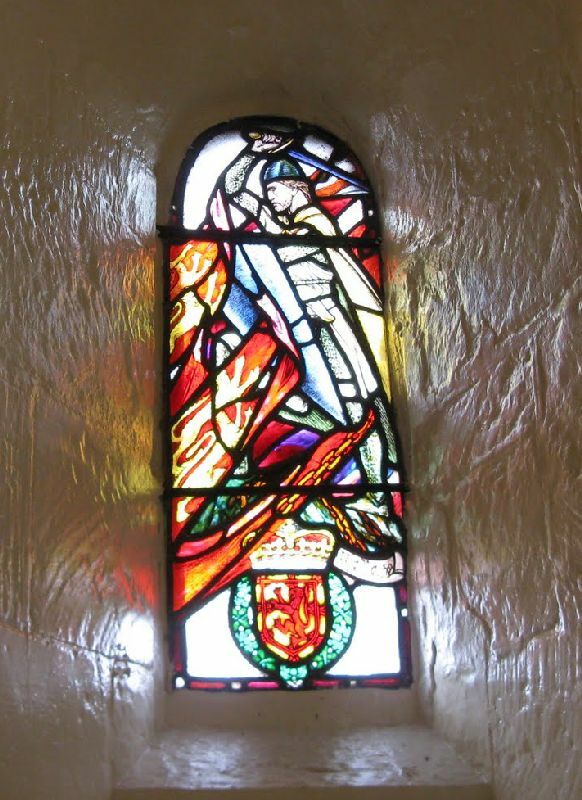 St. Margaret’s Chapel, the oldest building in Edinburgh Castle, dates back to the 12th century. If you are looking for information about events and shows in Edinburgh, make a stop just outside of the Edinburgh Castle Esplanade at The Hub. This spot is the headquarters for the Edinburgh Festival, as well as the ticket office for many smaller shows and festivals in Edinburgh. It is a one-stop shop for finding out what is going on around town! 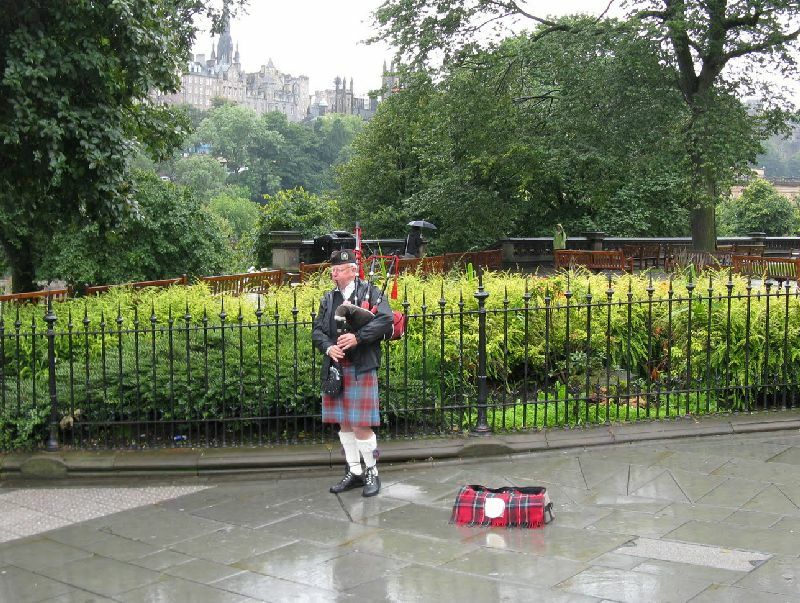 As you proceed down the castle esplanade and onto the Royal Mile, make sure you stop and do the tourist thing and listen to the music played by the bagpipers who are usually setup around this area, playing popular Scottish favorites. Throw a few coins in their case and then make a short detour from the Royal Mile to the Grassmarket. The Grassmarket is located just southeast of the castle. 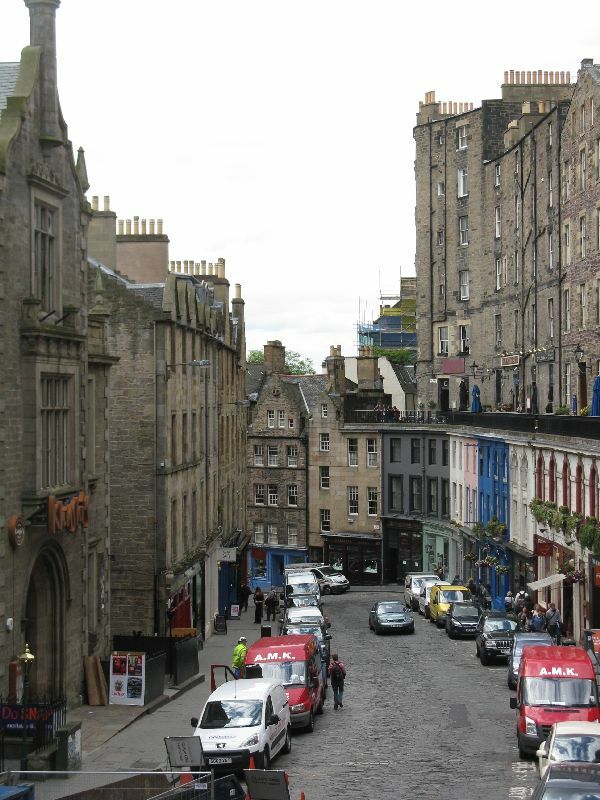 It is called Grassmarket because it was the primary area within town for grazing sheep and cattle until 1911. Today, there are no sheep or cattle here, but there are many nice cafes, pubs and artsy little shops. Stop for lunch in one of the cafes, or bring a picnic lunch and eat it in the pleasant open area at the center of the square. Lawnmarket is the small stretch of the Royal Mile between Castlehill and High Street. 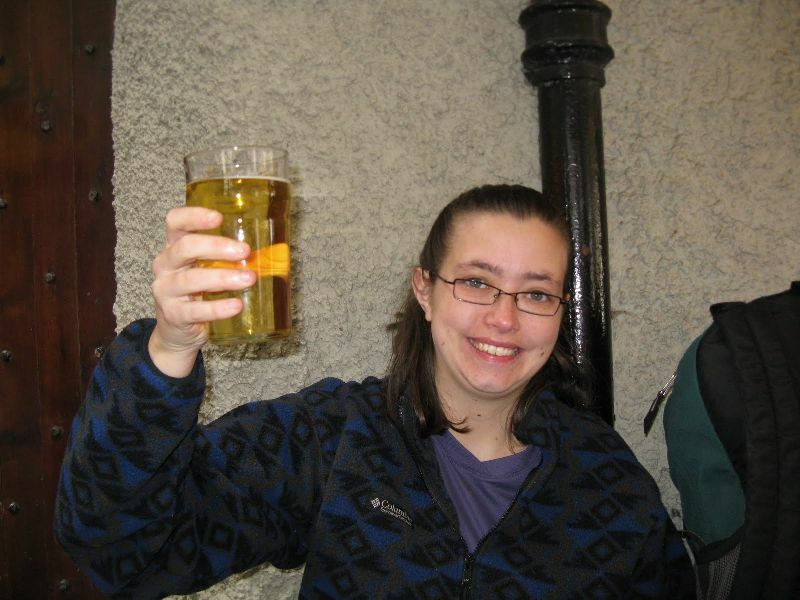 Make a stop at the Jolly Judge Pub off of Lawnmarket in James court for a pint or two to refresh your spirit and rest your feet, weary after a long morning of sightseeing. This authentic, wooden beamed pub has a great selection of ales and ciders and a great, welcoming pub atmosphere. As you continue down the Royal Mile onto High Street, make a stop to take an iconic Edinburgh photo of the spires of St. Giles Cathedral on the High Street. Near the west end of St. Giles cathedral is the Heart of Midlothian. This used to be the center of taxation and justice in Edinburgh (a place that was not very well liked), and you can still see the citizens of Edinburgh spit on this spot as they walk by. TIP: If you are in need of a bathroom break after your stop at the pub, the Museum of Childhood is located in the high street section of the Royal Mile. The museum is free, and has clean restrooms. I enjoy the comforting, familiar feeling of being surrounded by old stone walls as I venture down an unfamiliar close, the thrill of discovery of a hidden garden or great new pub just around the next corner. 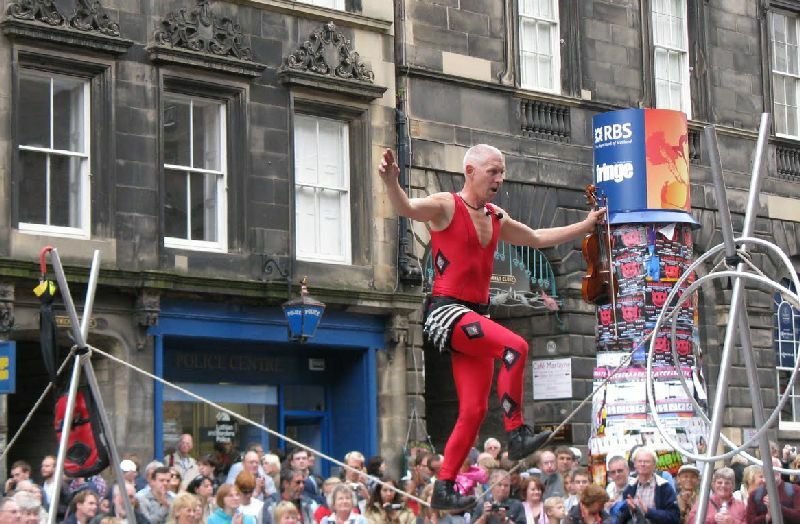 BONUS: If you can time your visit to Edinburgh to coincide with the three weeks of the Edinburgh Fringe Festival in August, you will be able to experience the best that Edinburgh has to offer. 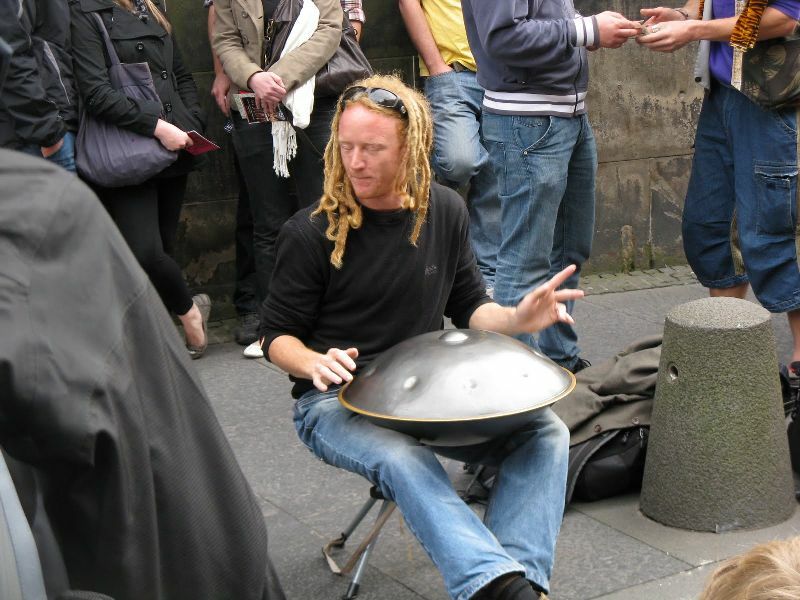 The Royal Mile becomes filled with great street performers and artists, and it takes on a very carnival like atmosphere. If you are interested in theater or music, there are literally hundreds of plays and shows going on around town, many of them free. If you don’t mind a few extra people in Edinburgh with you during this time, it is a great time to visit the city! 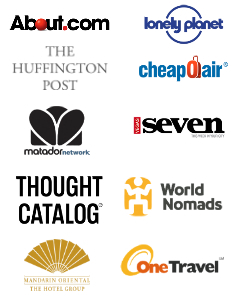 About the Author: Shanna Schultz is the owner of There and Back Again Travel Blog. She is also a travel professional in the airline and hotel industries. Shanna lives in Lonsdale, Minn. and enjoys cooking and gardening. Her favorite places to travel are Scotland and France. Connect with Shanna on Facebook, Twitter and Google Plus. I really enjoyed my first look at Edinburgh when we went for Fringe last year. Have to say that the weather left a lot to be desired (cold and raining in August) but it was so much fun to explore. Definitely need to return. Fringe is such a cool experience! I went when I was in high school and would LOVE to return as an adult! Iìm planning to have a trip to Edimburgh since longtime but haven’t succeeded yet.As a street actress it would be great to take aprt to the Fringe Festival! It would be enough just going and appreciating the performing artists. 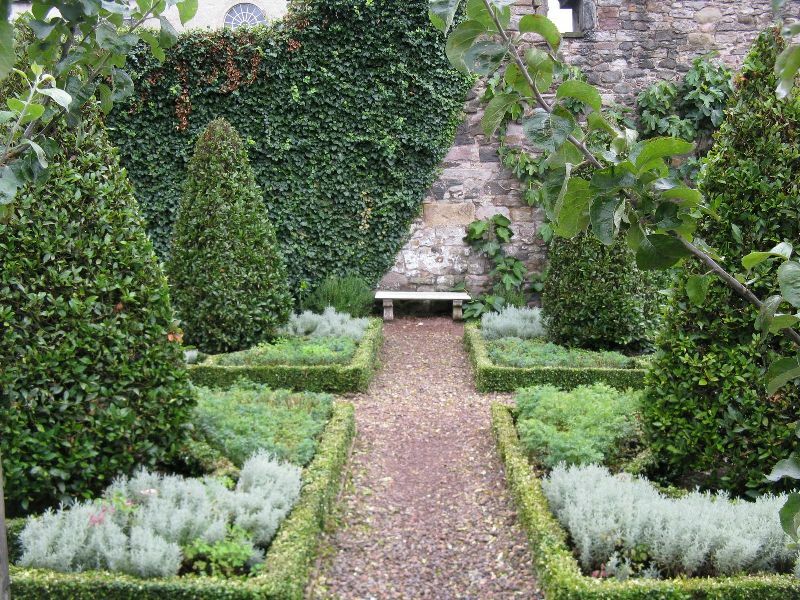 I think I prefer the gardens to all the people. Sounds like an interesting mile! The Royal Mile is really beautiful! When I was there, although it was forever ago, I absolutely loved it!